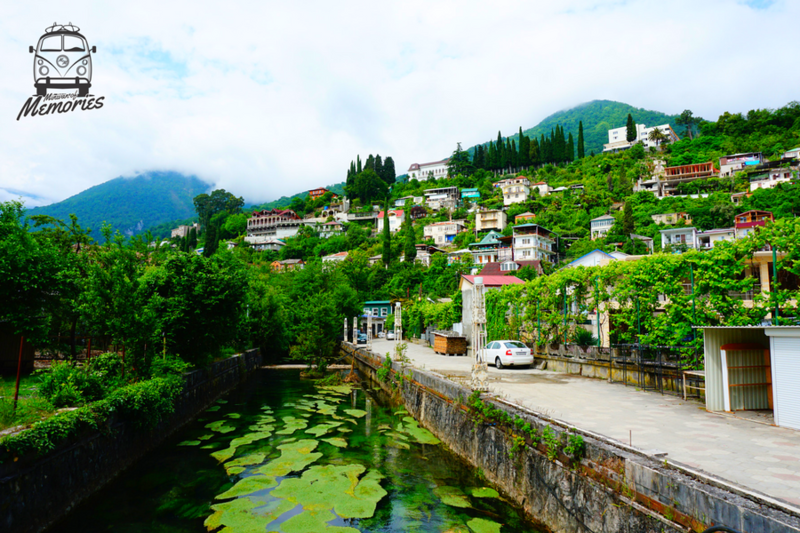 My Explorer spirit was drawn to this place, but I don’t know what about Abkhazia captivated me. For some reason I just knew I had to try to visit it. Truth be told, I had to Google it just to find out what Abkhazia was in the first place. Abkhazia is a place on the Black Sea that proclaims itself an independent nation, but which most of the world considers to be a part of Georgia. Georgia doesn’t really control it (the Russians mostly do), so to get to Abkhazia I first had to obtain a visa from the Abkhazian “Ministry of Foreign Affairs,” and then make my way through a heavily guarded border zone. I spent the next few days exploring a land that is virtually untouched by tourists, except a handful of Russians I met who came to sun themselves on Abkhazia’s black pebble beaches. Abkhazia is a land of both sorrow and beauty. Everywhere I went I saw abandoned buildings, remnants of a sad and terrible war that forced many ethnically Georgian people from their homes in Abkhazia. But beside all this sadness I also took in amazing natural beauty, including a visit to Lake Ritsa, a gorgeous mountain retreat where Stalin himself used to have a summer home. Nearby is a stone that my new Russian friends told me is apparently considered “lucky” to kiss … so of course I had to give it a shot. I also had the most amazing interactions with the locals. To a person, they were shocked to see me there and wondered why I was there. To tell the truth, I think I just wanted to see this forgotten land for myself. Though almost no one travels to Abkhazia, I think it was a very enjoyable and interesting experience. Since there is little practical information on how to do it, I wrote up this guide on what to do in Abkhazia, available at my website travellemming.com. It definitely was one of my more memorable special travel experiences. This memory belongs to our Passenger Nate Hake (@travellemming) . All the pictures belong to Nate's personal archive. To know more about our Passenger Nate Hake, click here.